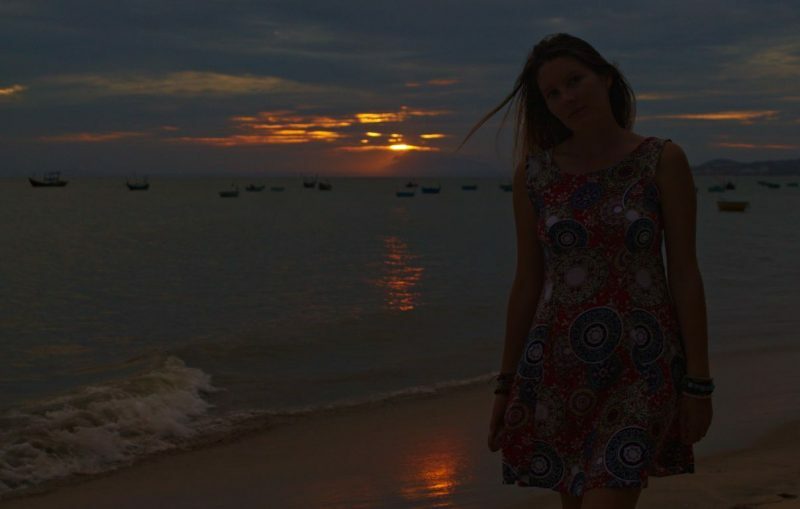 If you’re a hippie at heart and happen to be in South Vietnam, Mui Ne is your paradise. Located right at the coast, fishing makes the main source of income here. From catching and trading all sorts of seafood to producing and exporting Vietnam’s Number 1 fish sauce. Fish is the linchpin all over the place. Indeed, even the name Mũi Né owes a great deal to the fishing culture. Fishermen used to hide (né in Vietnamese) in the cape (mũi in Vietnamese) during rough sea storms. This is one version of how this place got its name. In the recent years, however, another business has derived: tourism. Especially, Russians have turned this place into their second home base after Nha Trang. Today, Mui Ne is a well established destination for any type of tourist. 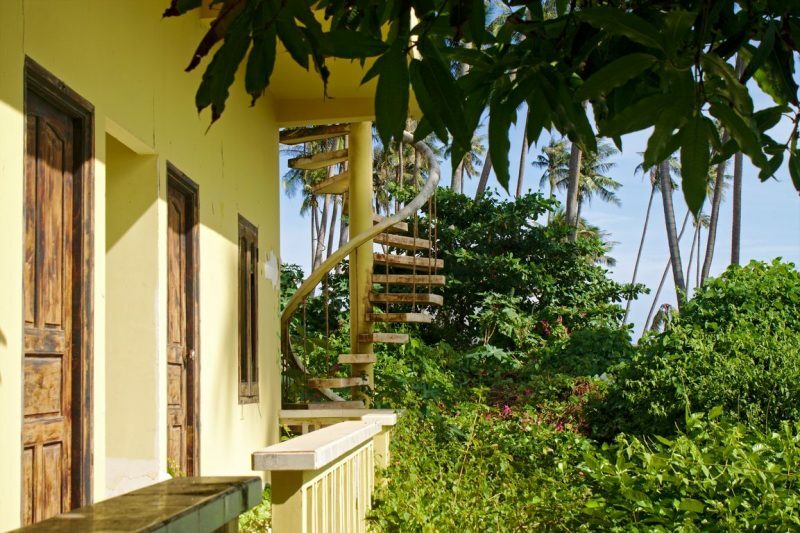 You will find luxurious resorts among simple but cosy backpacker lodges. While accommodation and financial means might seem to separate these two types, there is one thing which connects them: the laid-back atmosphere which permeates the whole place, ensuring a relaxed and fun stay. 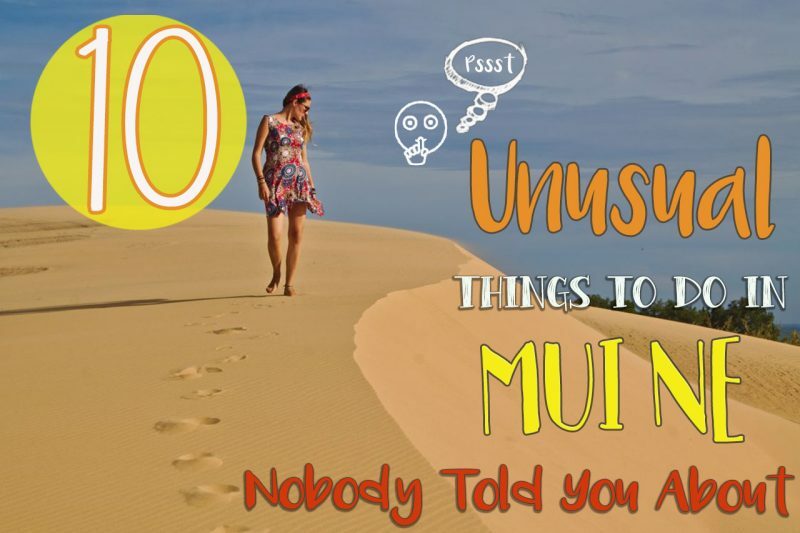 Following our 10 Unusual Things To Do In Mui Ne will point you to the most adventurous activities. We were surprised about the large amount of abandoned properties scattered all over the place. 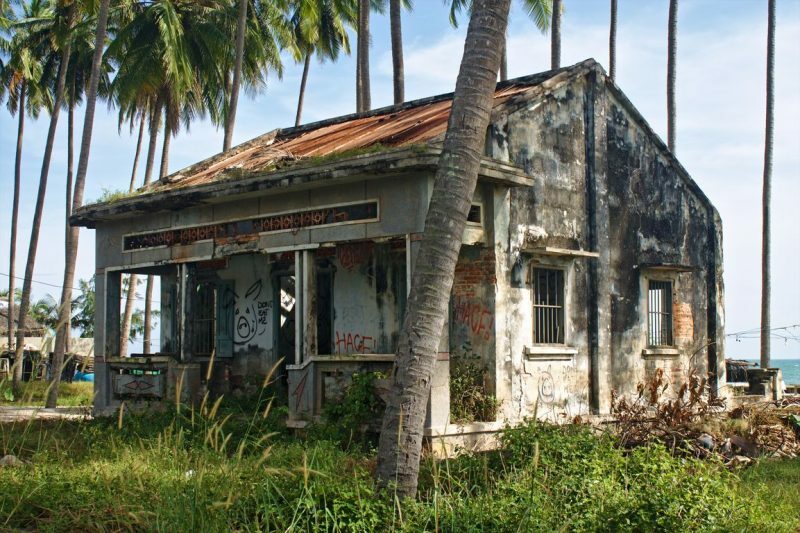 The remnants of what once used to be a friendly little guesthouse on the beach, demonstrates that even a top location does not guarantee permanent success. Quite the opposite, whether this guesthouse will be fixed up and reopened is in the stars. 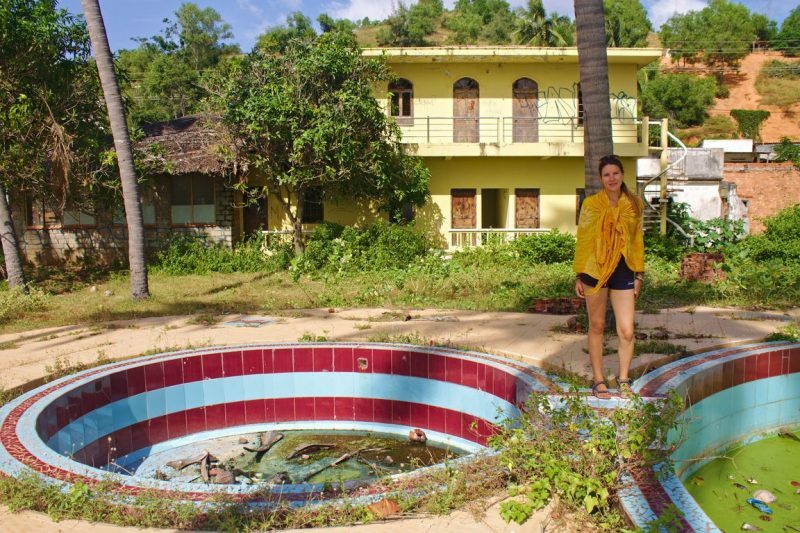 Discovering so many abandoned houses in Mui Ne, felt like being part of a time travel. Whenever we set foot into an abandoned place, we wonder how life used to be here. Although, time and nature has wiped out the last traces of human interference, the two twin beach huts still make a perfect eye catcher. While one of them serves as a Buddhist shrine, the other one is completely bewildered, from the inside and outside. Local street artists have left their footprints on the facades. What contributes more to the hippie flair of a place than artsy street art? And there is plenty in Mui Ne. The more we drove around on our motorbike, the more artworks we spotted in the most unusual places. 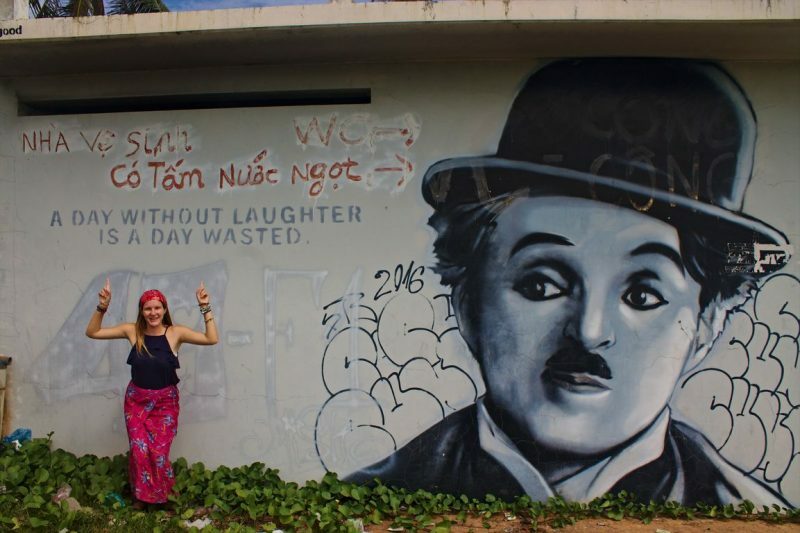 Charlie Chaplin greets all beach visitors with a heart-warming quote about life, sweetening their day. Jelly Fish and tribal motives seem to be the city’s trademark. Everybody knows the major reason why people make their way to Mui Ne. Gigantic hills covered with red respectively white sand create an illusion of being right in the desert. Although the most popular white sand dunes lie around 25 km outside the town, smaller stretches can be found scattered along the highway. We had a splendid area of fine white sand almost completely to ourselves. It felt good to run through the soft sand with not more than our bare feet. The red sand dunes come best into play at sunset, when the setting sun makes the sand glow even more. 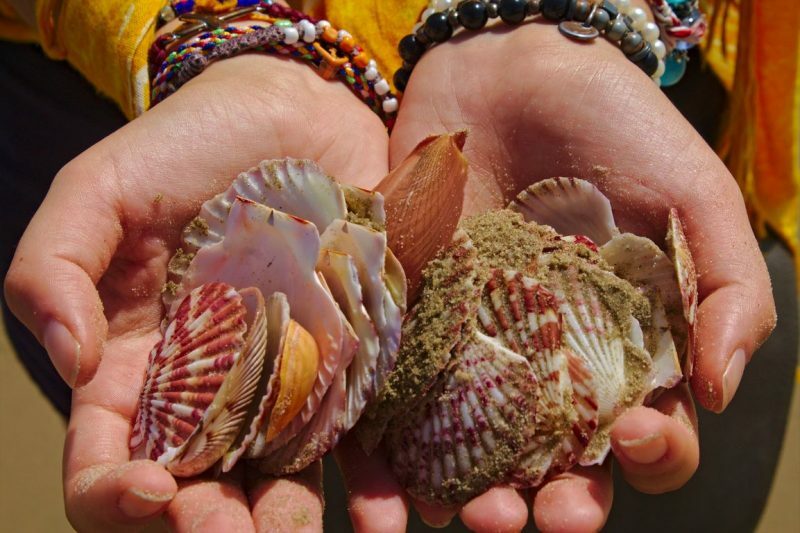 Seashells in bright red colors are dotted all over the beach. It’s fun to collect them and even more fun to look at them. They make great souvenirs and presents. The whole internet agrees that Mui Ne suffers from corrupt police agents who are after poor traveler’s money. They have no bad conscious to pull over white people on motorbikes, fining them for not carrying proper papers. 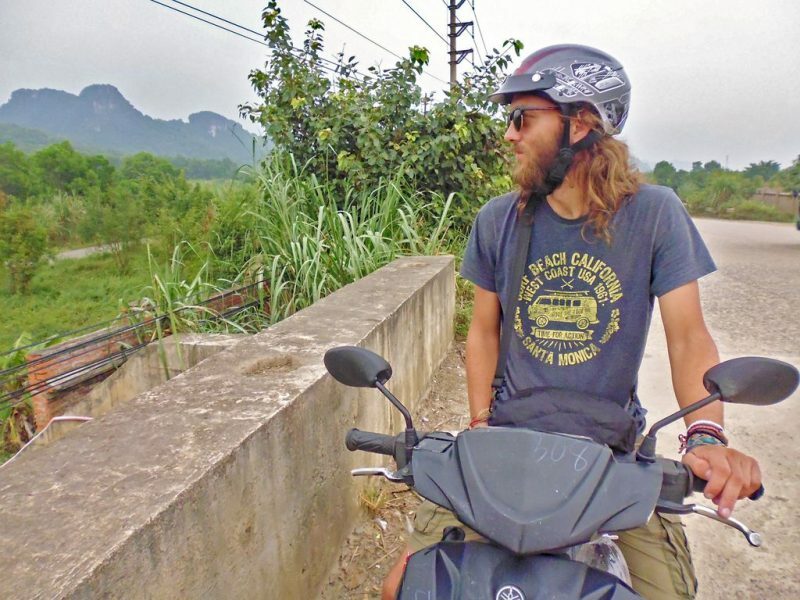 They will most probably play the trick on you that you don’t possess a Vietnamese drivers’s license making it look like you’re driving your motorbike illegally. 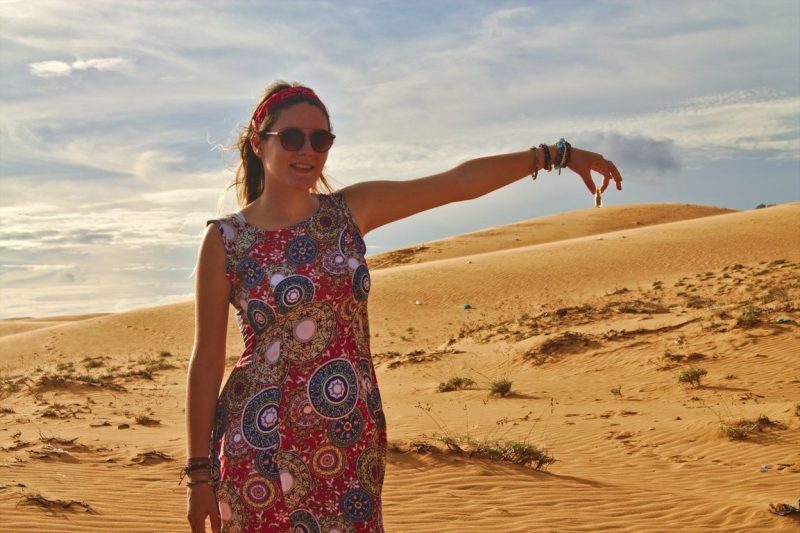 To avoid the Mui Ne police scam, we recommend you to skip the highway leading to the White Sand Dunes and instead choosing a shared tour. If you can handle to not see the White Sand Dunes, you can also visit a different area of white sand much closer to Mui Ne. 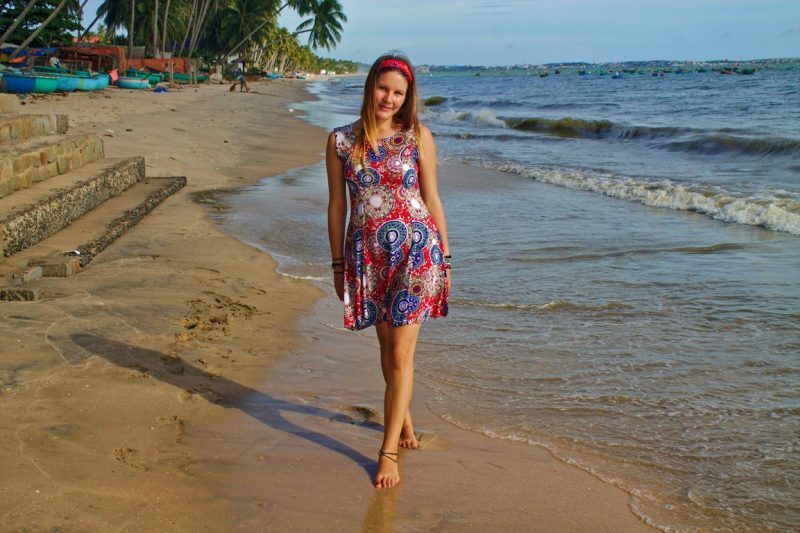 As mentioned in the introduction, tourism in Mui Ne covers a high percentage of Russians. 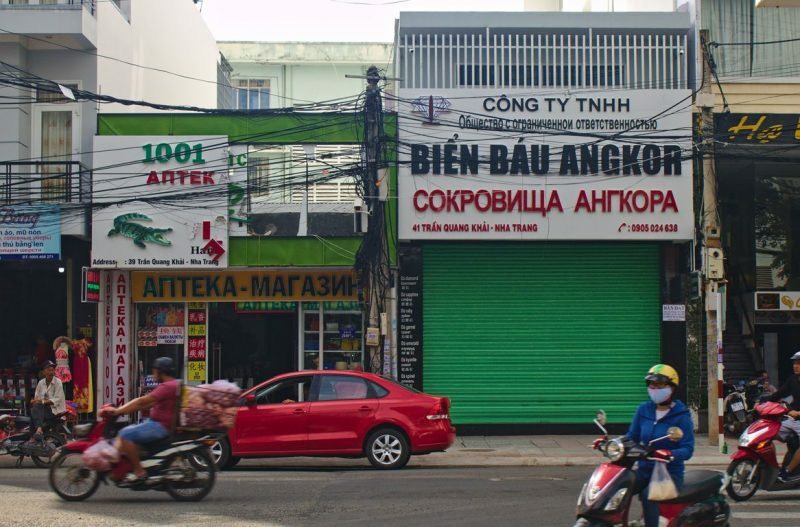 With the purpose of pushing Russians into buying and spending money, many Vietnamese vendors and tour agents throw in a few words in Russian when approaching them. Further, almost every restaurant, no matter if fancy or local, has a menu in English and Russian language. Same applies to the tour packages and souvenir stores. 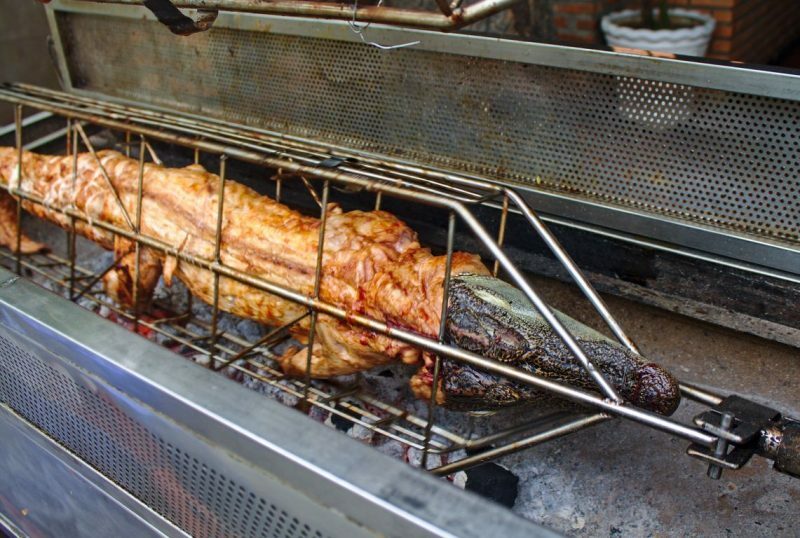 It was an awkward moment to see a full-body crocodile skewered on a pole and roasting over a fire. Crocodile meat is supposed to be very delicate and healthy. Whereas in Australia such a crocodile dinner can be quite expensive, it’s affordable in Vietnam for those who are curious to try. 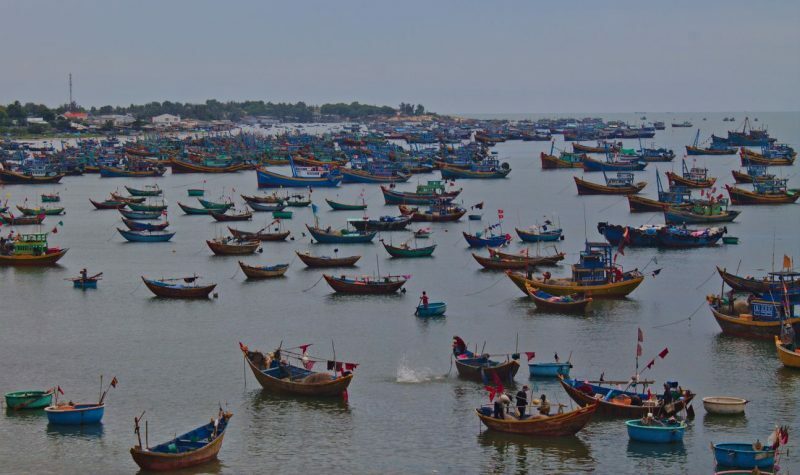 The fishing village of Mui Ne can be best observed from the top, coming from the highway. Thousands of colorful fishing boats and blue baskets are dotted on the water surface, resembling miniature figures. To end the day go out for a beach walk and catch the sunset. Sometimes you can watch fishermen returning from the sea, sorting out their catch and preparing it for sales. Planning to go to Dalat? 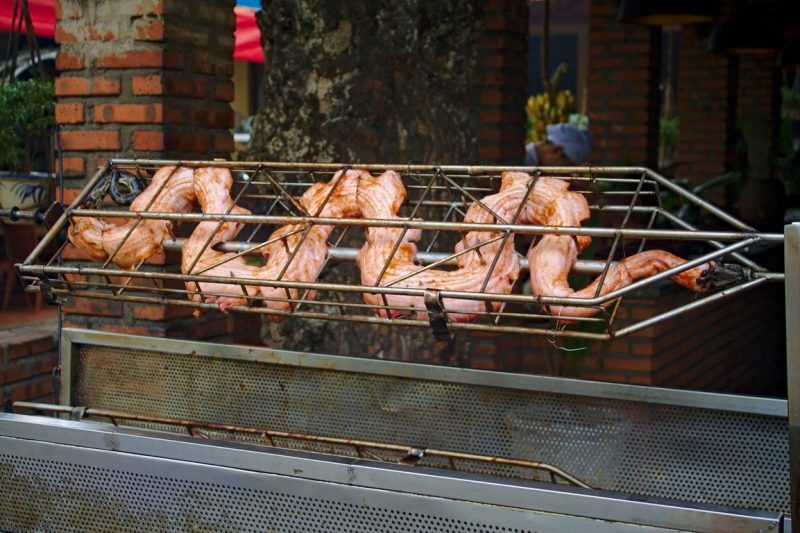 Don’t miss out on our 10 Things to Do in Dalat Nobody Told You About.